When you make contact with a certified Antigymnastique® practitioner, you are assured of dealing with a competent and qualified professional whose work is true to the method developed by Thérèse Bertherat. After completing their training over a two year period, certified Antigymnastique® practitioners sign an Agreement in which they commit to continuing their education to maintain their practice, which is also an art, to the highest level. Practitioners’ license certificates, granted since 2001, are updated on a yearly basis. 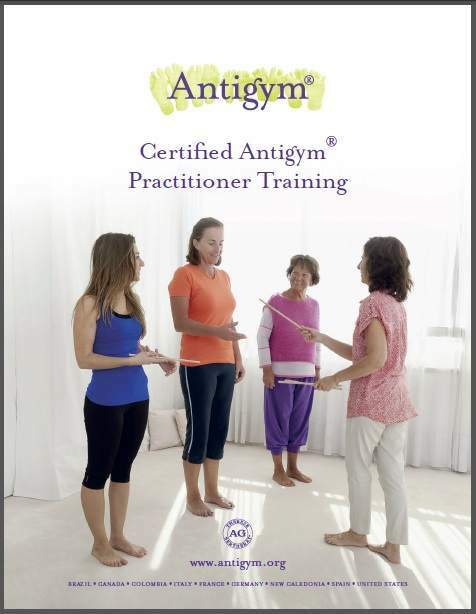 Each year, new certified Antigym® practitioners graduate from our training centres in Europe and abroad. Developing, with the help of certified trainers, a deep understanding of the Antigym® method. Embarking on a path of self-discovery and growth based on the body communication, and a willingness to listen to others. 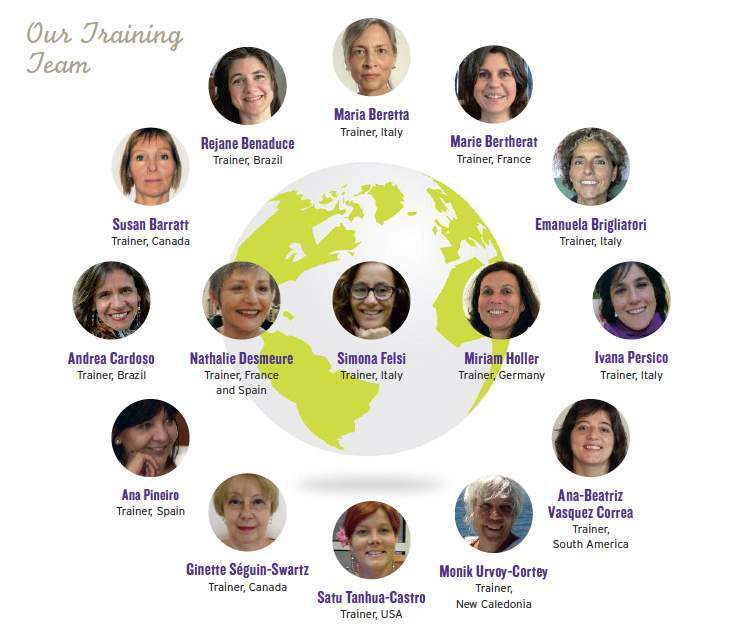 Having the opportunity to pursue a fascinating career as an independent professional and a member of a worldwide network of certified practitioners. Benefiting from an internationally recognized brand registered and trademarked in Europe and several other countries. with Ginette Séguin-Swartz, certified trainer and training manager (Canada). Pre-training workshops enable participants to discover the Antigym® method and the profession of certified Antigym® practitioner. In Saskatoon, Saskatchewan, Canada, with Ginette Séguin-Swartz, certified trainer and training manager (Canada). In Halifax, Canada, with Susan Barratt, certified trainer. PRE-TRAINING WORKSHOP THEME: Journey through your body. Do not hesitate to contact Ginette at training.antigym@antigym.org or by phone 1-306-249-1073 for further information.